Fr. Ric Schneider holds the seven Eagle Scout badges. Their total number of merit badges and service projects is staggering. But most impressive is the strength of character displayed by seven brothers from Louisville, Ky., all of whom earned the prestigious rank of Eagle Scout. Last week when a rep from the Eagle Scouts visited St. Clement Friary in Cincinnati, he met Fr. Ric and learned about his remarkable family. Ric was one of 11 children of Otto and Anna (Sandford) Schneider. 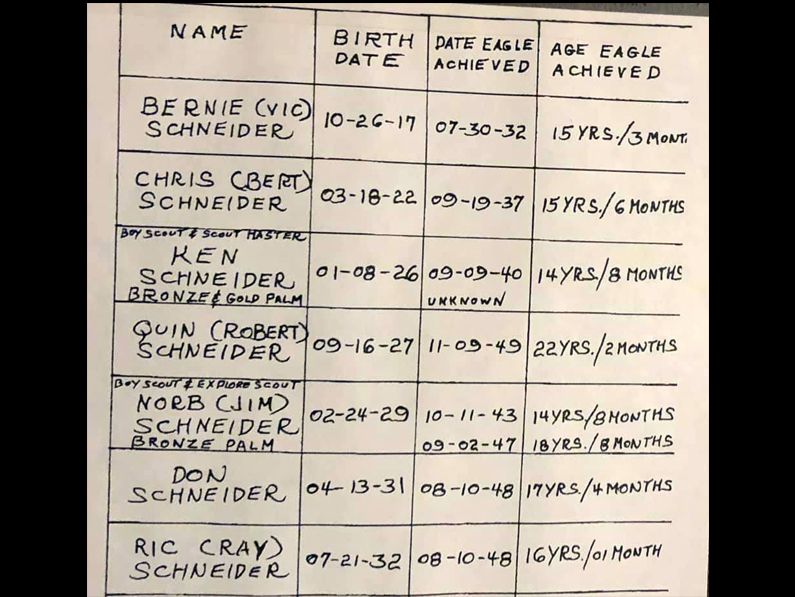 All seven boys earned the Eagle rank, scouting’s highest award, achieved by only 4% of Boy Scouts. The family total was a record not surpassed for many years. 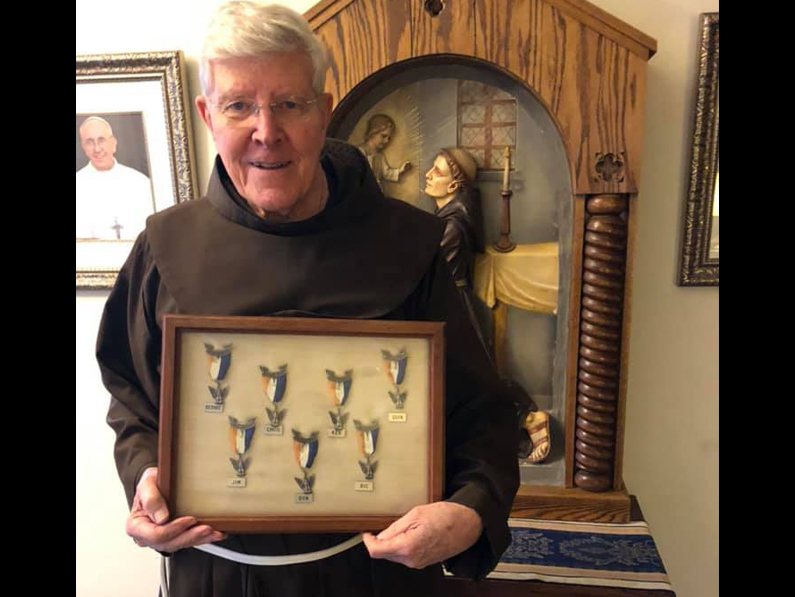 Three of Ric’s brothers – Bernardin, Chris and Aquinas – joined the Order of Friars Minor and became priests in the Province of St. John the Baptist, headquartered in Cincinnati. They followed in the footsteps of four uncles and a cousin, all of whom were friars. Last week at St. Clelment, Ric showed their guest the brothers’ Eagle Scout badges and the records detailing their accomplishments. Photos from the visit taken by John Allen were later posted on the Facebook page of the National Eagle Scout Assn.